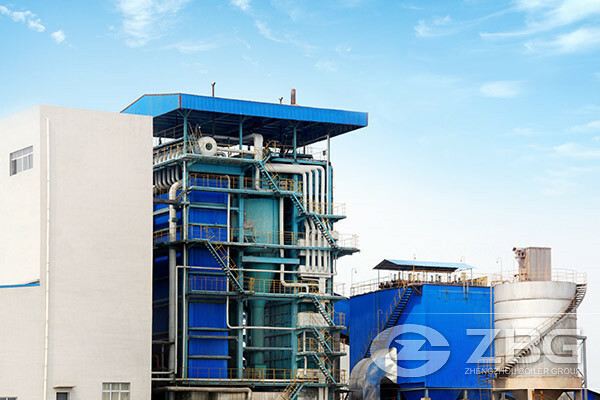 SZL coal fired boiler, adopting the membrane water-cooled wall system and water cooled system, is a solely developed machine in ZG which absorbs all the previous advantages. It applies the water-cooled arch system and membrane water-cooled technology to shop-assemble water tube boiler,which is the initial technology in our country. This water tube type chain grate boiler has high efficiency ,strong overload capacity and is available for a wide range of coal. And it is honored as the best design in boiler industry.Combustion of Boiler fuel molding can be pure coal or mixed coal and biomass fuel molding to provide heat or power generation. 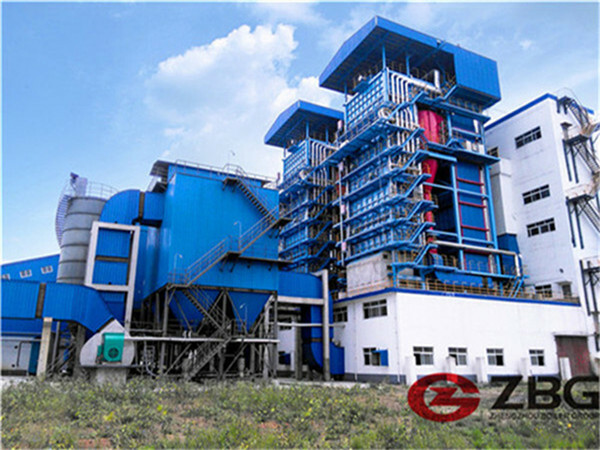 The SZL Coal Fired Boiler consists of chain grate and boiler out of factory , up major possession including boiler body , upper steel frame and furnace wall ,lower bulk including coal bucket ,chain grate ,lower furnace wall, and internal ventilation tube. 1. 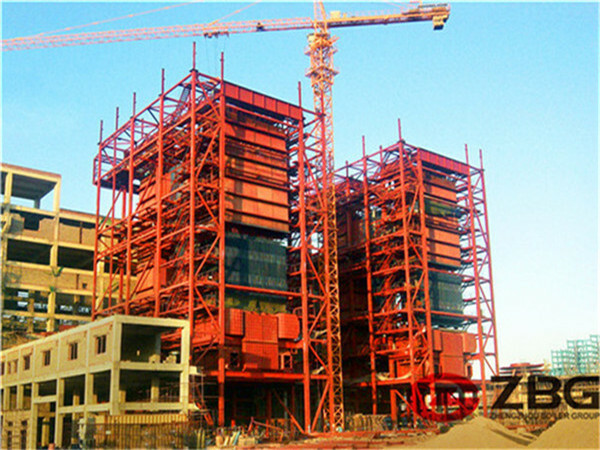 Furnace and the two sides of burner zone adopts membrane water-cooled furnace structure. The membrane structure of SZL boiler, our company’s solely design once used in electric boiler , is now applied in shaped assemble boiler. Its advantages lie in great thermal transmission heat, better heat transfer effect, lower heat loss ,better air impermeability, no wall distortion and no ash leakage. The tubes of water cooling wall go down to the upside of the grate ,which forms the front and back arches. 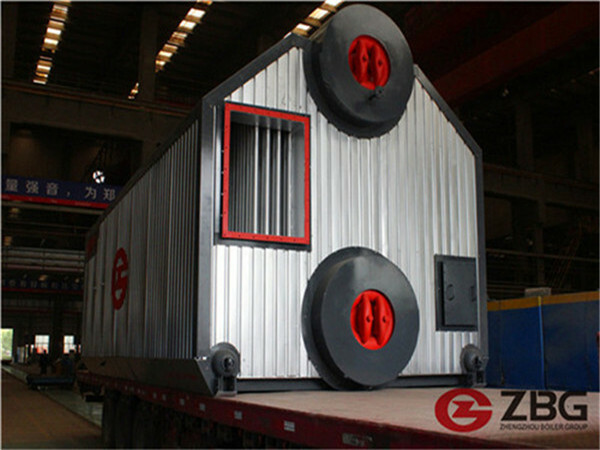 This structure was successfully used in the field-assembled boiler, with which the heating surface and the overload capacity increased. The frame of front and back arches are made of water cool tubes together with the Roland’s cement mason work. In this way, the phenomena such as arch brick cracking or arch collapsing after long time high-temperature roasting the used three broke lines arch bricks can be avoided, so that the SZL boiler’s service life can be extended. 2. The structure of arches adopts the newest technology --the upside”a” technology, which is awarded the national science and technology prize. The front arch is high and short while the back arch is low and long. And the part near the exit is inverse inclined type,while the front arch is 45ºinclined type, they together form a downside a flame structure,which makes the lean coal combustion easier and it can adjust itself to a wide rang of coal types. In this way, the flue gas is kept within the furnace a longer time, and the combustion efficiency is higher. The streamline shaped back arch can throw the unburned carbon grains in the middle and back part of furnace to the front, so that the coal can be easier to be ignited and the ignition lines are tide. 3. The boiler grate adopts double layers or single layer layout structure, which can meet the customers’ requirements better.